Veteran cornerback Antonio Cromartie announced his retirement from the NFL on Monday. An All-Pro with San Diego in 2007, when he led the league with 10 interceptions, Cromartie was one of the NFL’s best cover cornerbacks for much of his career, making four Pro Bowls. He also scored the longest touchdown in league history, returning a missed field goal by Minnesota for a 109-yard score in 2007. 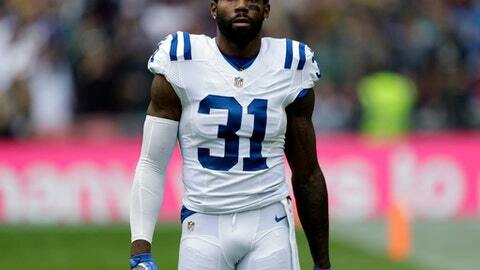 Cromartie, 33, spent his first four seasons with the Chargers, making the playoffs each year. He then joined the Jets and made the AFC championship game with them in 2010, his first of four straight seasons as a starter in Rex Ryan’s defense. He spent 2014 with Arizona, returned to the Jets in 2015, and finished his career in 2016 with Indianapolis. Cromartie’s ball skills, size (6-foot-2, 210 pounds) and speed made him a desirable commodity even though he was an inconsistent tackler and often gambled in coverage. The Chargers selected him 19th overall in the 2006 draft. With the Jets in 2010, he combined with Darrelle Revis to form one of football’s best cornerback tandems.